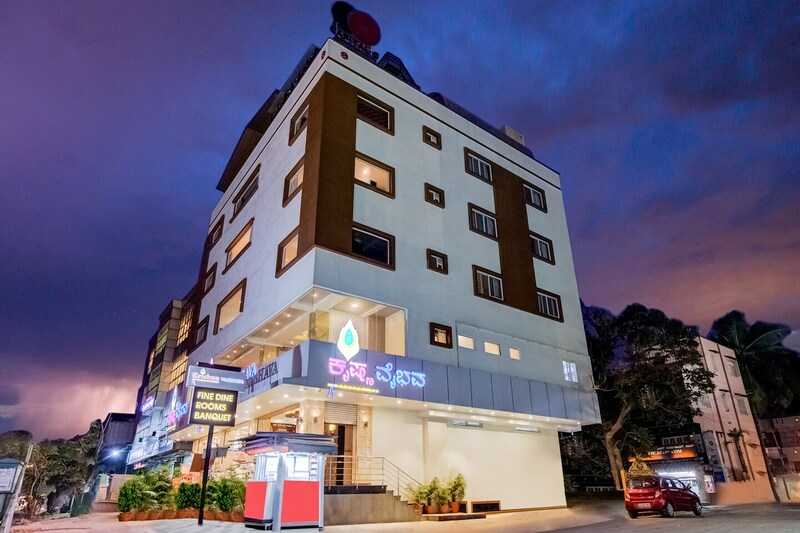 This piece of property is quite popular in the Bengaluru Hospitality circuit due to its convenient location as it is located very close to a number of important landmarks. The Krishna Vaibhava also provides some comfortable rooms at very reasonable prices. The rooms are well-furnished and well-lit. A lot of woodwork is used in the interior decor of the room. The additional features provided by the hotel are CCTV cameras, card payment in all forms, parking provisions, a constant power backup source, and free Wifi. The in-house facilities comprise a common lounging area, a restaurant, a common kitchen area, a banquet hall, and a dining area.